The Customize Windows > Computer and Internet > Mobile Gaming : How Much is it Set to Grow in 2017? Mobile Gaming : How Much is it Set to Grow in 2017? Angry Birds, the game, was released in 2009 and really was the beginning of true mobile gaming. Everyone wanted to play the game, even those whose smartphones weren’t quite up to scratch and it encouraged other developers to bring out their own variations and bigger budget games. As smartphones have advanced, mobile gaming has only got better. How Much Mobile Gaming Expected to Grow in 2017? Since 2009, as technology has developed so has mobile gaming. Candy Crush was the next big impacting game, as platform games became a popular way of spending time on that morning commute or even while using the bathroom. More and more Candy Crush copies and adaptations have emerged since, proving that the game is a particularly strong platform for mobile play. In 2017, we are sure to see more augmented reality gaming after the success of Pokemon Go. Players want to experience real world gaming and as avid gamers pick up VR technology they are looking for a more immersive experience when playing. Interestingly, more mainstream game developers may also begin dipping their toe into the world of online gaming – and not just adapting their already existing titles into games that work on mobile platforms. Nintendo is leading the way again with this trend, its release of the initially very successful Miitomo and then Pokemon Go has given it a head start but big players such as Ubisoft, 2K and Rockstar could pick up the pace soon and reveal their own. Nintendo will apparently release five more app games in 2017, so expect to see this trend pick up next year. Online gambling is also increasing in popularity, indicating a shift in how people perceive the concept, as people enjoy trying their luck at bingo games or even slots from the luxury of their smartphone. Brands creating these mobile games are offering fast paced, exciting gameplay that offers more lucrative rewards than a medal or coins in any app game, which is why their popularity will more than likely grow in 2017. Gaming in general is only increasing in popularity. In fact the global games market has been predicted to reach $102.9 billion in 2017, and in China mobile gaming is a dominant force as the market in the country is set to hit $8.3 billion next year. Mobile gaming is a force that doesn’t look too slow and mobile devices are only going to improve in strength and ability – in fact, they could be more powerful than even the top range consoles such as PS4s and Xbox Ones if the tech continues developing like it currently is! This Article Has Been Shared 2232 Times! Articles Related to Mobile Gaming : How Much is it Set to Grow in 2017? 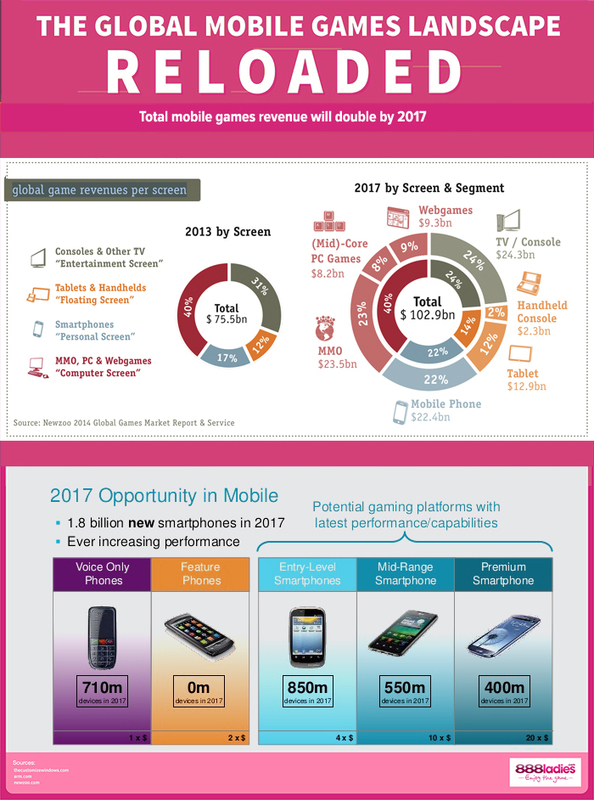 Title: Mobile Gaming : How Much is it Set to Grow in 2017? Cite this article as: Abhishek Ghosh, "Mobile Gaming : How Much is it Set to Grow in 2017?," in The Customize Windows, December 7, 2016, April 23, 2019, https://thecustomizewindows.com/2016/12/mobile-gaming-much-set-grow-2017/.